Home / 400 / 750 / Amazon / best down comforter / comforter / cozyfeather / down / down comforter / duvet / feather / fill power / goose down / Review / thread count / How to know what down comforter to buy and if it is worth the price. How to know what down comforter to buy and if it is worth the price. "Duvet, or not duvet, that is the comforter." Hahaha, I am totally a dad. I am too funny. I guess the real question here would really be down duvet or not down duvet. And if you down duvet, how duvet should you down? OK, I am not trying anymore. Duvet is just a fun word to say. Ha again! That totally rhymed! As the winter months are approaching and early fall is already upon me and my family, I decided to invest in something a bit warmer than the flimsy blanket we were using. 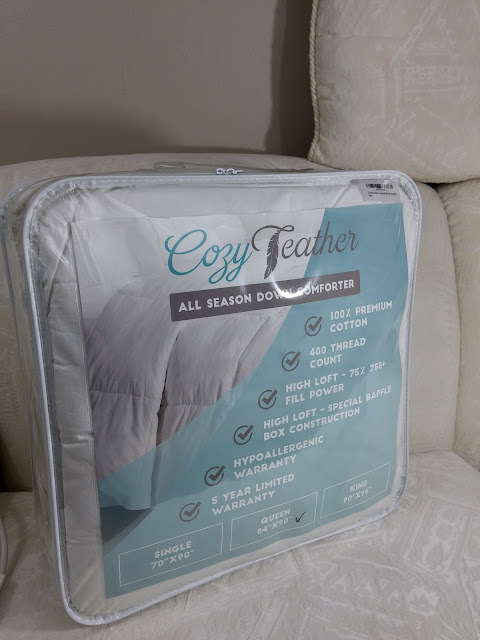 I got an offer from Cozy Feather for a discounted down comforter that I will review here and use as a basis of comparison. If you go onto Amazon and do a search for "down comforters" you will see a wide variety of comforters that vary in price from about $40 - $210. 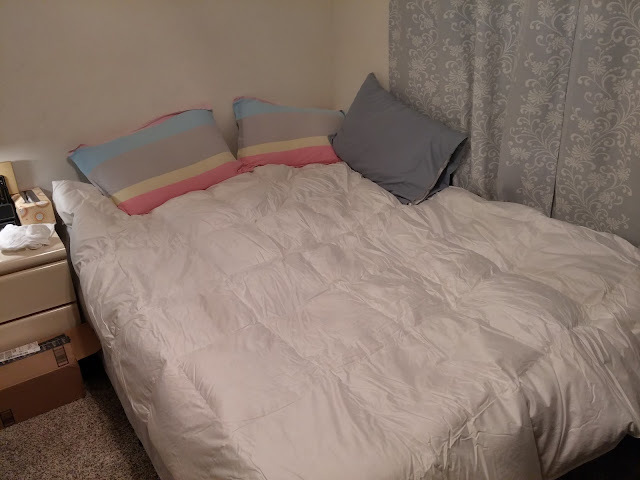 The single sized Cozy Feather comforter comes currently at a price of $136 making this comforter on the mid to higher end of the comforters listed. So the real question now is if it is worth that price tag. There are a few things that you can measure when getting a comforter. Basically the higher number, the smoother the fabric. When we see a fabric with a thread count of over 200, we can count on it being very smooth and comfortable. With a 400 thread count, you can predict the Cozy Feather comforter to be very comfortable. Guess what. It totally is! That being said; I like to keep it protected so I have it in a cover that is not nearly as comfortable, but if you were to sleep with this directly without any cover, you would definitely enjoy it. 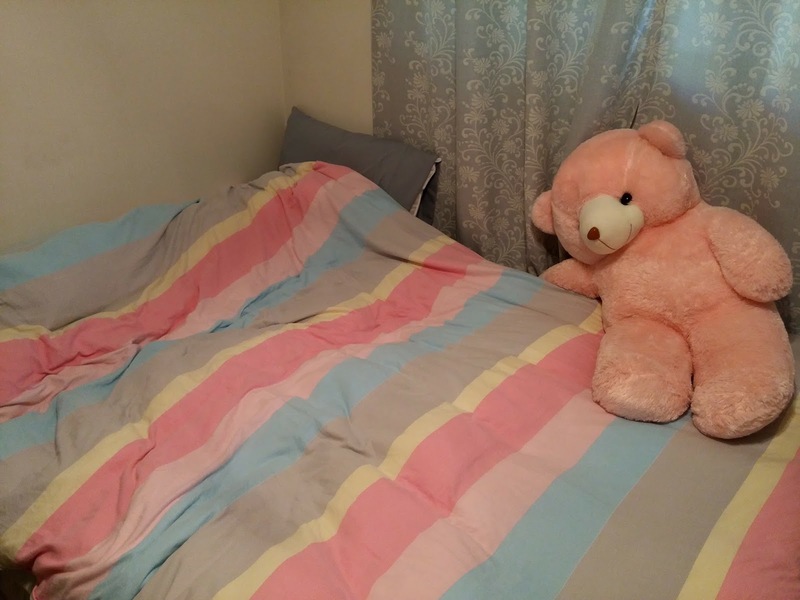 So how does my Cozy Feather comforter compare to that of other comforters listed on Amazon? Pretty well actually. Most of the cheaper comforters don't bother listing thread count (probably too low to list) while many other comforters list ridiculous thread counts such as 1200 (which is clearly an exageration, or just using a different method of measuring), a thread count of 400 is really quite good. This is fairly subjective to measure and subject to opinion. I can say (and you can see from the picture posted above) that there were no loose threads and the sewing job was top quality. If there is anything of poor quality with this comforter, I cannot find it. Fill power is amazing. It is like the power to feel.... comfortable (see what I did there?). OK, so really, fill power is basically how lofty and well insulated the down is. The higher the number the better. According to the all knowing Wikipedia, 500-550 is considered good, 550–750 is considered very good, and 750+ is considered excellent. With a fill power of 750, my Cozy feather falls under the excellent range. So how does that compare to other cheaper comforters? If you look in the $25 - $50 range, you can't find a comforter that even lists the fill power. No surprise there. I am going to guess it is pretty low. The $50 - $100 range still mostly does not list fill power but you start seeing some bold sellers stating the 500 - 600 fill power range. The $100 - $200 dollar range lists a lot more; most around 600 but many at 750. I have not found any to be listed as more than that. So what does this all mean? It means that my Cozy Feather comforter in the $150 range is really quite respectable for the quality it has. Realistically, if you hope to spend $100 or less on on a down comforter you can expect that it will be somewhat flat and not well insulated. If you don't want to heap on multiple blankets come winter, you should be planning on spending at least $150 for a quality down comforter. While you can get plenty of down comforters in any price range, I will say this. My Cozy Feather down comforter is definitely worth its price tag. The comforter is so warm that I have to open all the windows just to make it cold enough where I can stand to have the comforter on. It is crazy warm. So would I recommend an expensive down comforter over a cheaper comforter with microfiber or something similar? This is a hard call. I am Mr. cheapity cheap, and the reality is that I often make myself suffer to save a few cents. 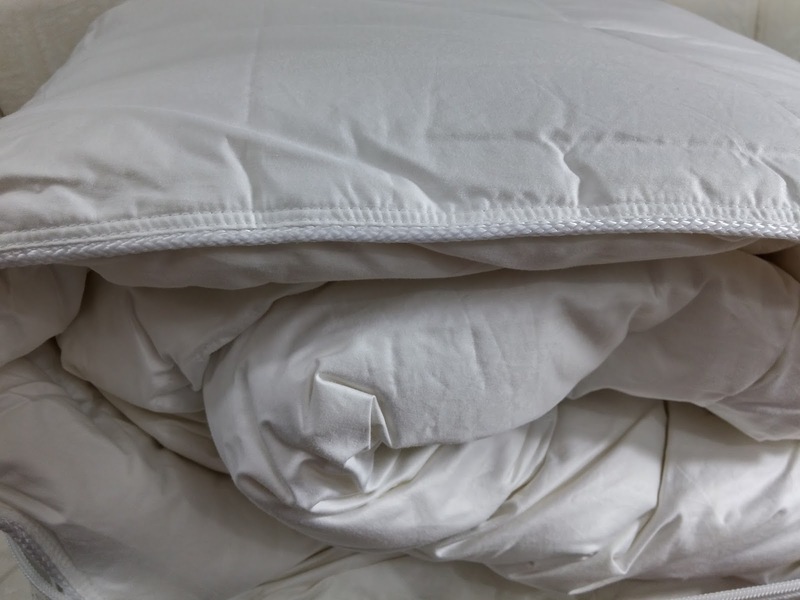 Thinking long term however, if you plan on using the comforter for more than five years or so a $150 down comforter is about 10 cent more per day than a $40 cheaper comforter. That 10 cents is probably worth it for the comfort you get and if it helps to to not have to use the heater as much it will easily save you more than that with your electric bill. Bottom line. No one needs a down comforter. It is a luxury. It is an affordable luxury that make sleeping super fantastic!